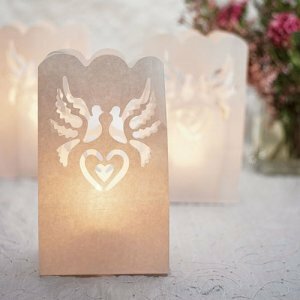 Light the way for your guests with these romantic paper luminaries. 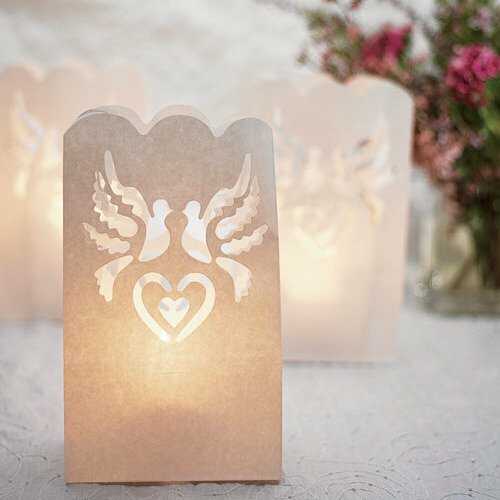 Each set contains 12 scalloped edge luminaries, decorated with a heart and doves cutout. 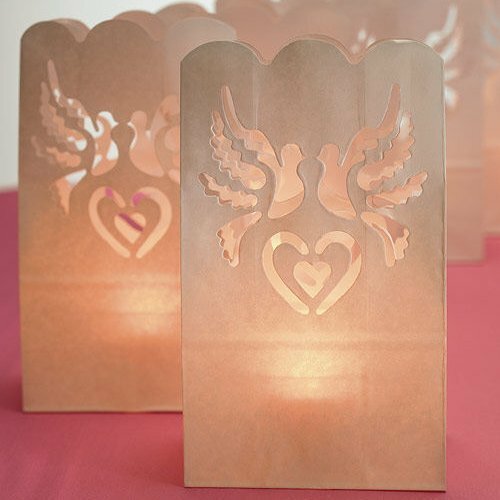 Creates the perfect ambiance when lining walkways or the perimeter of a reception setting. 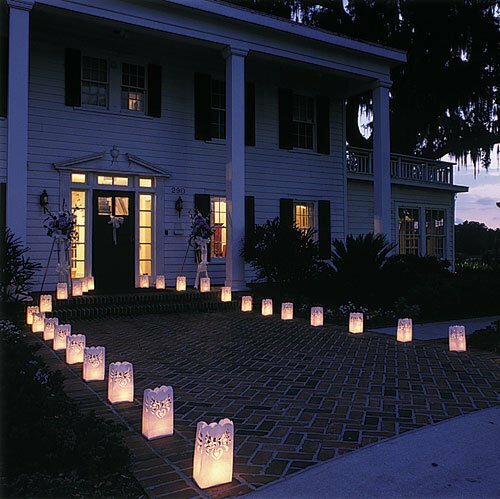 Place wedding luminary bags 6" to 8" apart with a candle in each. (Candles not included. For outdoor use only).